Recisio announces the launch of its newest application, Jamzone. Jamzone is the reinvented score book combining a multi track mixer that allows individual tracks to be muted, soloed or looped alongside scrolling chords and lyrics. The application, available on iOS devices, allows professional musicians, bands, teachers and music-lovers to play along to a selection of current hits and classics and completely customize the experience according to the needed key and tempo. Download Jamzone for your iPad today on the AppStore or on www.jamzone.com. Recisio is proud to sponsor the Sing-a-Thon "Songs4Houston," benefiting families and pets affected by Hurricane Harvey. 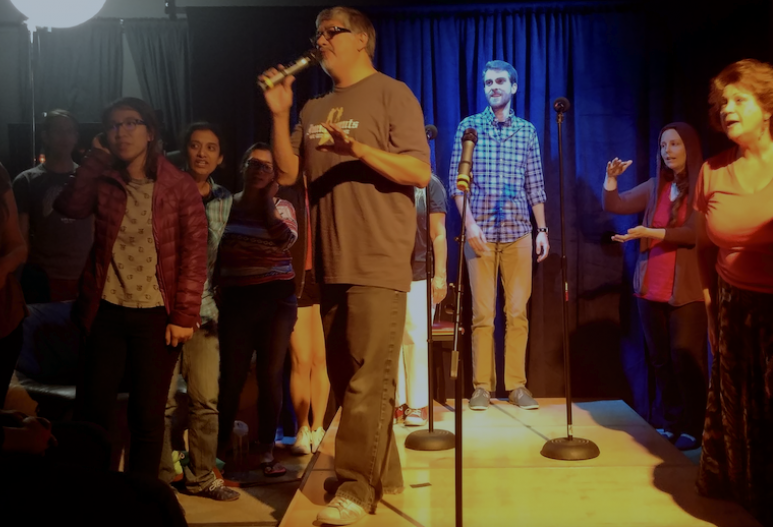 Hosted by The San Jose Pop Up Choir, the 12-hour, non-stop event features performances from hundreds of amateur singers. The money raised will go directly to the associations Feeding Texas and Austin Pets Alive. If you would like show your support in aiding relief efforts to victims of the hurricane, please consider donating here: www.gofundme.com/songs4houston or directly via the sites Feeding Texas and Austin Pets Alive.